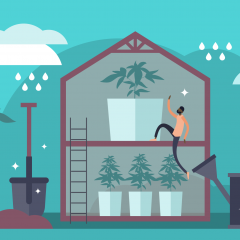 Sustainability is a hot-button topic that’s become increasingly important as commercial cannabis farms scale up with expanding legalization. To be “sustainable” means you’re able to maintain a level of output continuously. With farming, this means providing the correct inputs for a healthy and thriving ecosystem as you take outputs from the land. Amending soil, introducing crop diversity, and sourcing water efficiently are all part of sustainable agriculture. For an emerging group of cultivators, sustainable farming is not answering to the needs of our environment. That’s where regenerative agriculture comes in. Regenerative agriculture, defined by the regenerative design consultancy Terra Genesis International, is “a system of farming principles and practices that increase biodiversity, enriches soils, improves watersheds, and enhances ecosystem services.” While regenerative agricultural practices have been around for centuries, many of these approaches have been replaced by those that favor commercial farms with large yields. Cannabis offers an opportunity to re-address how we can support small farms with diverse, high-quality strains while meeting consumer needs. 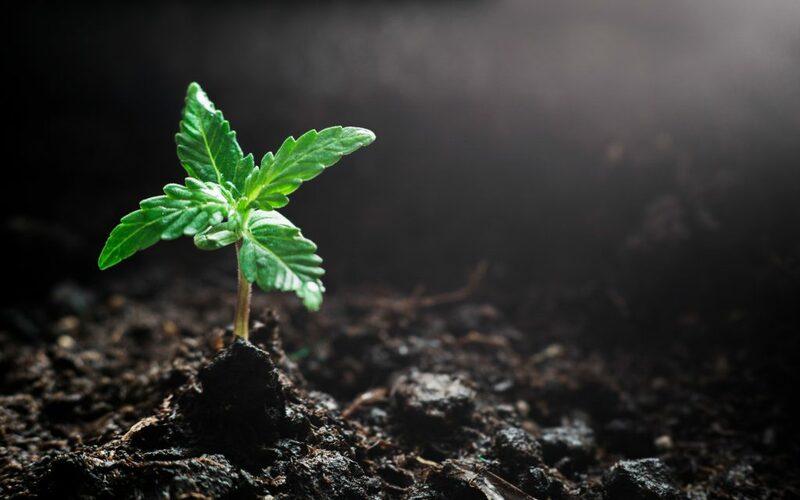 Regenerative farming provides a holistic approach to producing biodiverse cannabis that is grown consciously with the plant and the planet as top priorities. 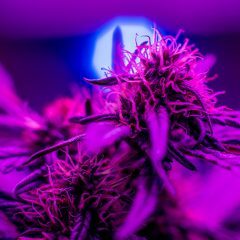 Like with wine vineyards, compassion for the plant is celebrated as farmers grow top-tier cannabis that holds unique characteristics specific to the earth it was raised in. 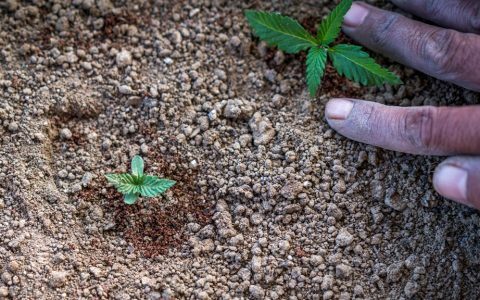 Cannabis Terroir 101: What Is It, and What Factors Affect It? To learn more about regenerative farming in cannabis, we met with Kelly Dunn and Josh Sarvis of Dragonfly Earth Medicine in BC, Canada. 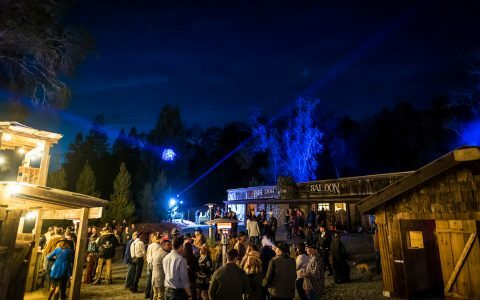 Dragonfly Earth Medicine is pushing a regenerative program called DEM Pure Certification among cannabis farmers, extractors, and vendors who all work towards the common goal of generating life in their communities. While there’s enough on regenerative farming to fill books, here are just a few of its core principles, according to Sarvis and Dunn. Conscious cultivation is at the heart of regenerative farming. This involves not only giving the plant what it needs immediately, but also giving the plant what it might need. 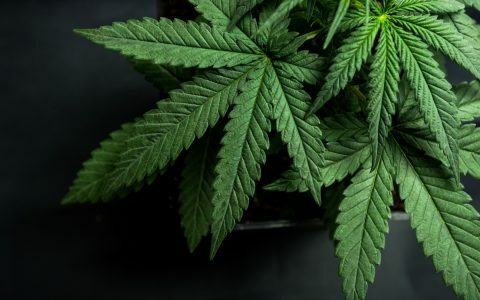 By looking at the cannabis plant as more than a crop, regenerative farms observe where the plant fits into biology and the ecosystem at large. 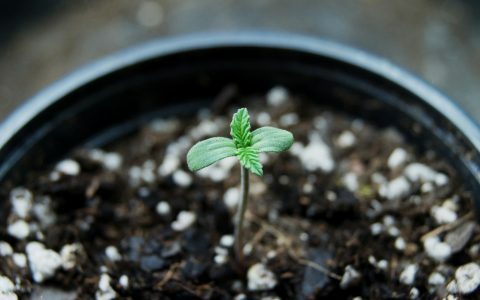 While Kelly noted that some farmers might use cloning, the idea is to create your own cannabis genetics. By working with the plant in your unique environment, you establish a relationship that would change if it was grown in a different climate or by another farmer. The idea is to grow plants to sustain yourself in addition to creating a habitat for pollinators and wild animals around your farm. This biodiversity is celebrated as a means to improve the land by hosting countless forms of life. By refraining from using any pesticides or chemical fertilizers, healthy soil food webs are created. Plants taking in CO2 use a portion of the carbon for photosynthesis (to create energy for plant) and root growth while also releasing some of the liquid carbon into the soil in an exchange for nutrients with the fungi, bacteria, and other microbes. The carbon that’s released is utilized by the fungi, bacteria and microbes and is turned into humus, a carbon-dense byproduct that successfully sequesters the carbon into the earth. 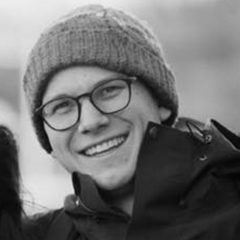 Sharing growing techniques and philosophies is an essential aspect of the regenerative movement. Dunn and Sarvis drive home the importance of sharing as a means to supporting your community and protecting the mission shared by all regenerative farmers. In an industry with rapid growth moving towards large-scale agriculture, education is key to keeping consumers and farmers aware of the options they have. 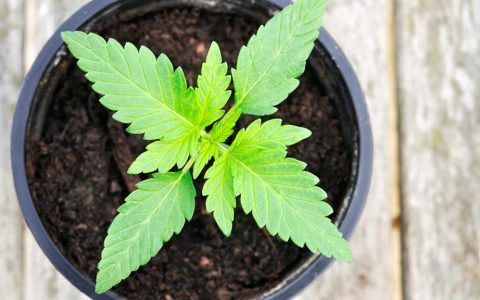 Dunn and Sarvis welcome discussions with indoor farmers about how they can be DEM Pure certified, and are eager to share techniques that improve cannabis and the earth it grows in. 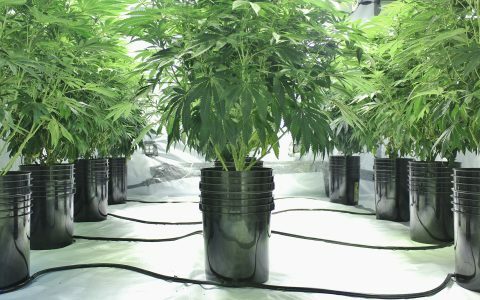 Growing How to Grow Organic Cannabis at Home Growing How to Find the Best Soil for Growing Cannabis Growing Choosing a Cannabis Plant Container Growing What Are the Best Nutrients for Growing Cannabis? I would like to see a discussion of growing strong, beautiful plants with VEGAN regenerative ideas. 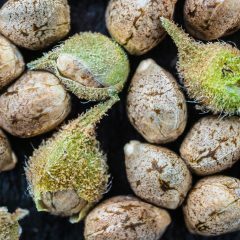 It isn’t easy to avoid fish or other animal products in selecting soils and plant foods for cannabis… at least for the home grower. Masanobu Fukuoka, the preeminent natural farmer and author of The One Straw Revolution would have been ecstatic to hear this! 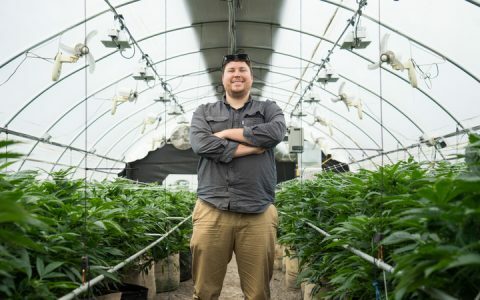 All of this may be water under the bridge, because IMO those ‘farmers’ are going to be the corporate giants now getting into the ‘legal pot’ business. As usual, they care nothing for the environment – only maximum production. And that means sacrificing everything sacred about the earth, air and water, just as industrialized agriculture has progressed in this country. 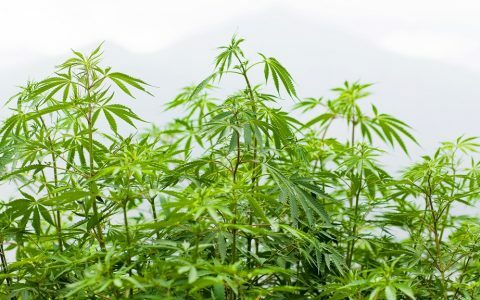 Those corporate agri-businesses are going to force out the ‘little’ family farm cannabis growers, just as they did with the food-production family farms. Just look at where John Boehner is now & what the company whereon whose board he sits is gearing up to do. Where the corporations smell the hint of profit – and there are billions at stake here – is where the little guy always loses.